The Carnatic Music Association of North America celebrated its 35th Anniversary with two days of concerts and special events in the New York City suburb of Edison, New Jersey, on 16-17 April 2011. As a spring storm blew in with twirling clouds and high winds, the festival commenced with an invocative kriti sung beautifully by Shruta and Shreya Srinivasan. As Chief Guest, I had the incalculable pleasure of enjoying six concerts in two days by celebrated musicians, most of who are from Chennai. Below are some of my thoughts. The first concert was a veena recital by Rajesh Vaidya, accompanied on mridangam by Karaikurichi Mohanram and on ghatam by Ravi Balasubramaniam (a local artist from Connecticut), who responded well to every musical gesture. Beginning with the varnam, virtuosity reigned. 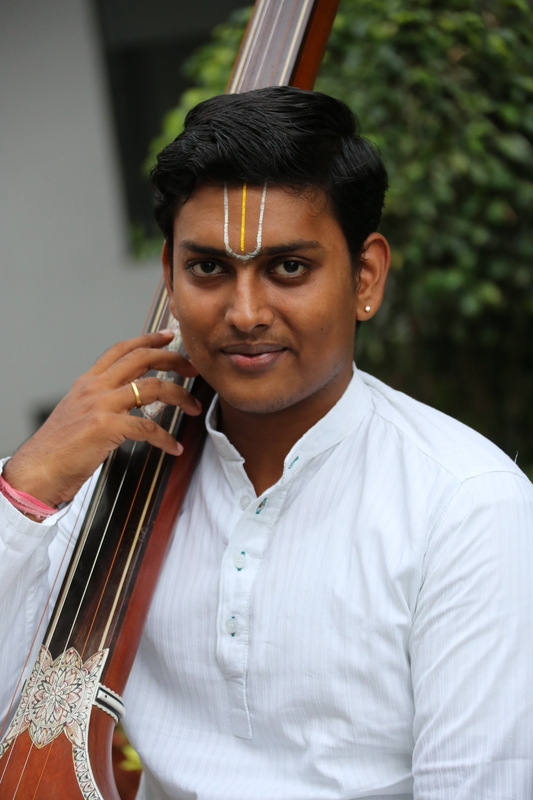 Mr. Vaidya quickly established his incredible speed with fluid runs through the range of the veena along with a thunderous basso aided by the contact microphone, which has been an appendage of the veena since the days of S. Balachander. The tempestuous approach to Saraswati's instrument seemed to reflect the storms outside the hall. 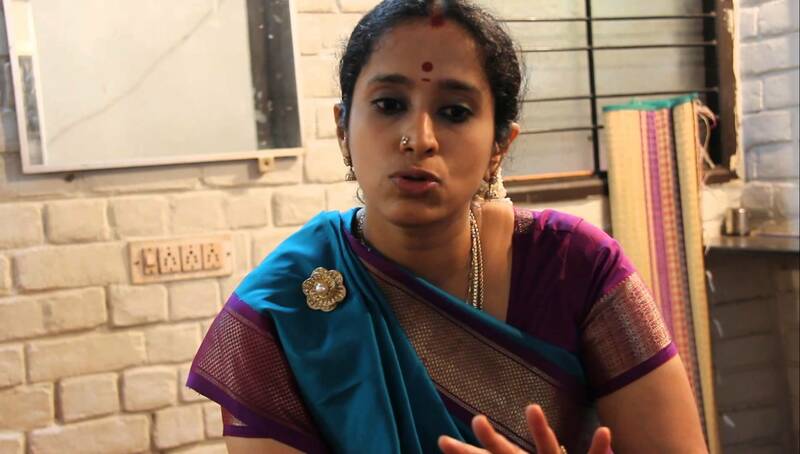 When Neyveli Santhanagopalan chats compellingly on the stage about ragas or kritis or improvisation or any of dozens of things musical, one is compelled to listen; here is a senior artist talking about music to us from an insider's view. One is reminded of the great European composer Beethoven; because creativity and invention are always on stage, one never quite knows which way Neyveli's fertile mind will turn nor where it will lead. Yet, we feel comfortable within the parameters of the tradition. But this is as it should be in Carnatic Music; the musicians--like the American Greats in jazz--are creating spontaneously. After leading us through a well-selected wonderland of Tyagaraja and heartfelt Dikshitar, Neyveli and his accompanists, Delhi P. Sunderrajan on violin and Nandakumar on mridangam, take us on a sight-seeing trip through their thoughts and imaginations. They amaze, surprise, move, astound, delight, transform. It is a journey we don't want to end. Two hours or more seem to pass in an instant as we are carried away by wings of song. The concert of T.M. Krishna, accompanied by R.K. Sriramkumar on the violin and Arun Prakash on the mridangam, was a delight for its intelligent choice of songs. First of all, the tiny Hechicharika set a tone neither too light nor too weighty and preceding mood, pacing and a mix of ragas. Dikshitar’s “English Notes” appeared not with a wink and snicker, but in dead earnest, with the respect that a great composer fusing East and West deserves. One fears, observing the music scene in Chennai, that musicians no longer perform in chauka kala except with a perfunctory nod to skip on to the way to the next "Bangalore Express". T.M. Krishna and his ensemble do not fear chauka kala - they embrace it, for it is only in slow tempo that one can really hear gamakas in a raga, and from the first svaras of Bhairavi, the audience knew that something special was in store. We all sat in our seats in a high school auditorium on a Saturday in New Jersey, U.S.A., but as the music went on, place and time seemed to disappear. 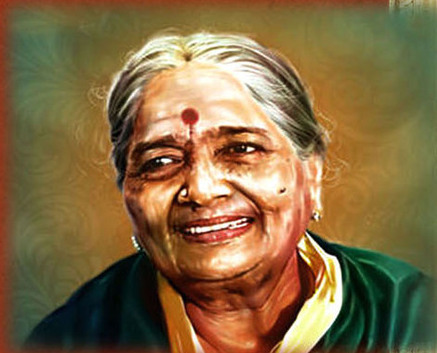 And by the time the musicians had finished alapana, rendition of the great Kamakshi svarajati, niraval and svaras, they had carried the listeners somewhere else…to another world or a deeper world, perhaps, here and yet there, where music and Truth share the same definition. 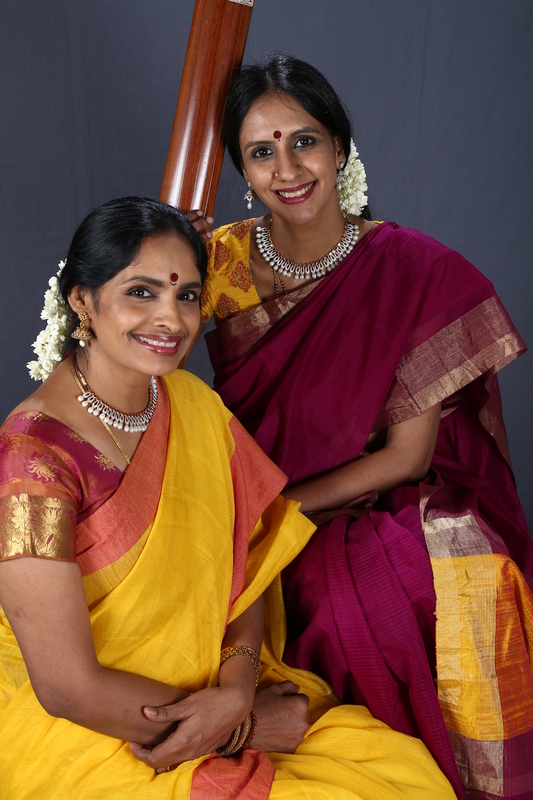 If time travel were possible, I would love to invite Guanieri, Stradivarius or several of the other 16th century great Italian violin makers to the CMANA duet on Sunday featuring Kanyakumari and Embar Kannan. Entering the auditorium, the master craftsmen would recognize the sound of the violin, a brand new invention 400 years ago or so which was taking European music by storm, but they'd be startled by amplification (along with light bulbs and other inventions of Edison, N.J.'s namesake). Then, they would notice that both musicians had reinvented their own recently perfected 16th century violin. The bowing would be familiar as would the tremulousness, the fast passagework, and the switching between strings as the great Italian composer Vivaldi composed in his famous concerto grosso, "The Four Seasons", but where and by whom have all those other techniques--the slips and slides and intonations and wiggles--been invented? Indeed, the violin, with its fretless fingerboard was the first European instrument absorbed into Carnatic Music. Indian musicians recognized its potential and Indian genius reinvented its technique and flexibility. Violins or their modifications are now part of the Indian music tradition. Here in the United States, many budding violinists can play in the school orchestra on Mondays, Wednesdays and Fridays, and Carnatic Music-style on Saturdays with schizophrenic ease! The expressive qualities, vocal sound, virtuosity, passagework and bowing techniques were all on display in Ms. Kanyakumari's and Mr. Kannan's concert, with able accompaniments provided by J. Vaidyanathan on the mridangam and Akshay Anantapadmanabhan (local artist) on the kanjira. In 1965, a few years before CMANA was about to begin putting Carnatic Music on a firm grounding in the United States, I had purchased a 33 1/3 disc of M.S. Subbulakshmi, a treasured possession and one of the few recordings of Indian classical music available in those years. 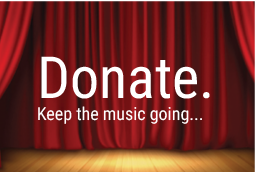 I had a Western classical singer over one day and she listened to my recording and said, "But that's not one voice but two!" “That can't be two voices. It's too close," I argued. "But they are!" she said. The great J.S. Bach composed two voices sounding as one when he wanted to express the mystery of God being simultaneously one and two, father and son, one of the most amazing parts of his B Minor Mass, and they had the same melody sung at different times, but harmonizing. These thoughts were brought to me by the Priya Sisters at their delightful concert. They blended like one voice when singing together, yet when one went into an alapana exposition, or niraval, or kalpana svara, singly, one realized that each had a voice with her own distinct character. The interchanges built nicely, were well accompanied by B.V. Raghavendra Rao on the violin and Neyveli Skanda Subramanian on the mridangam, and led to crisp climaxes and conclusions. 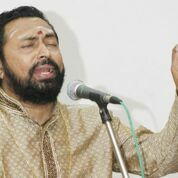 The final concert was to a packed house, featuring the remarkable singer Padmasri K.J. Yesudas, with Embar Kannan on the violin, Toronto Gowrishankar on the mridangam and Santosh Chandran on the ghatam. Music lovers flocked from as far away as the northern suburbs of New York and Boston. When the curtain came up, the first word I thought of upon seeing the artist was charisma. Here was a personality that made you take notice, to like him, and to come out on his side and root for him. After a conversation in which he plead for religious tolerance among people of all religions, warmly received by the audience, he presented the credentials for his background in Carnatic Music (he needs no credentials as a playback singer). And with his able accompanists, he launched into the concert robustly and with enthusiasm. The next conversation brought him even closer to the audience. Why the laptop on the stage? "....it's because I don't want to make mistakes," he said. “I know hundreds of songs in a dozen languages. I'm far from perfect..." Charisma....who could not like the heartfelt songs and ragas and emotions, bringing the festival to a wonderful close? At brief ceremonies, Smt. Kanyakumari was awarded the title of “Vadyajyothi”, and Dr. David B. Reck was given the title of “Honorary Patron” of CMANA. The past and current officers and patrons of CMANA are to be congratulated for successfully completing the 35th year of the promotion of Carnatic Music in the Americas. The current officers are Dr. P.N. Aruna, president; Mr. Aravind Narasimhan, vice-president; Ms. Chithra Krishnan, secretary; and Mr. Som Sowmyan, treasurer. 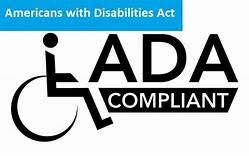 The current trustees are Mr. Hari Ramachandran, Mr. Rajesh Nathan, Mr. C. Narasimhan, and Ms. Padma Ramachandran.